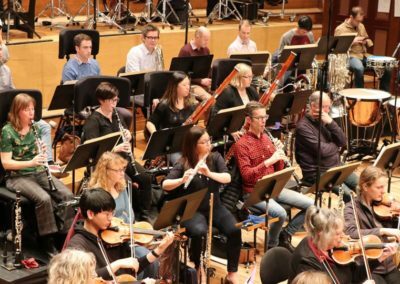 The Waves Project represents a new style of orchestral music in which complex polyrhythms, harmonic progressions and stunning percussion sounds merge in a dramatic and unique way. It is music that touches every level of human existence. 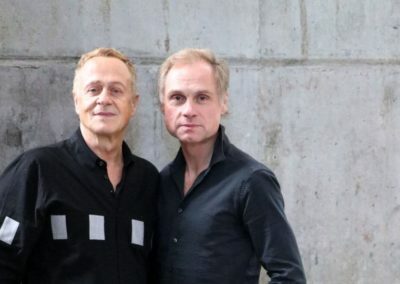 The Waves Project was founded by Reinhard Flatischler and Johnny Bertl, two Viennese composers from different backgrounds. 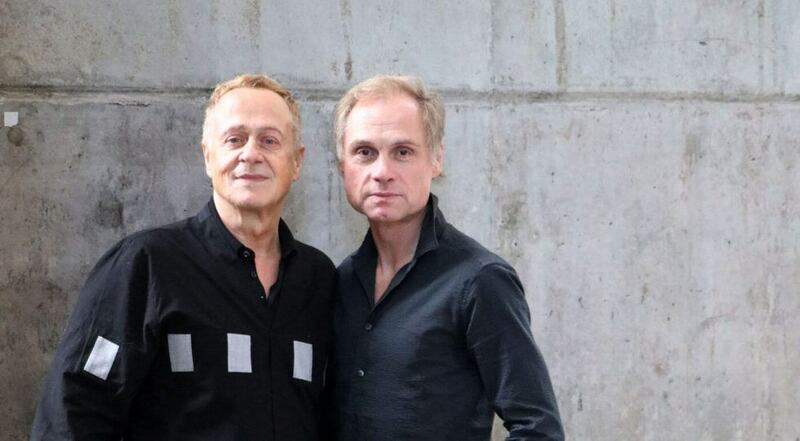 Their highly specialized skills enable them to co-create music which neither could have created alone. The underlying polyrhythmic structures in their compositions hearkens back to the musical wisdom inherent in the music of J.S.Bach. The overlapping polyrhythmic structures and primal rhythmic movements reflect the purity of nature. 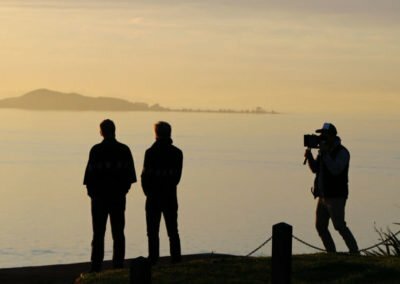 When polyrhythmic structures come together with melodic and harmonic progressions and unique percussion sounds, the Waves Project comes to life. “Waves upon Waves” is an homage to rhythm, which is the primal power behind all forms of life. 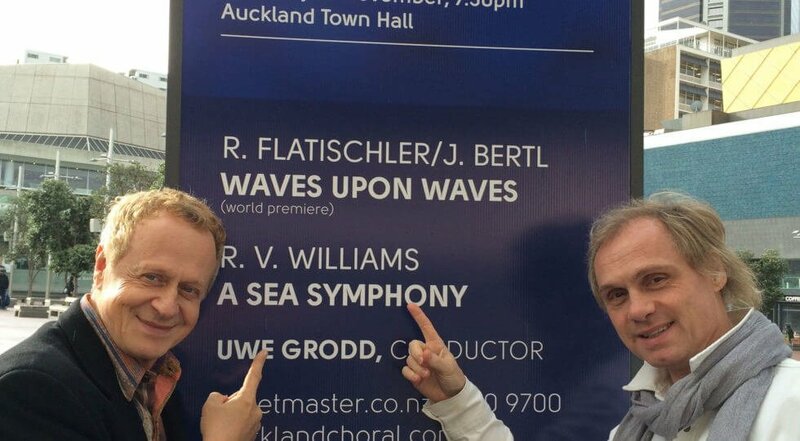 It also reflects the rhythms expressed in the powerful ocean waves surrounding New Zealand. 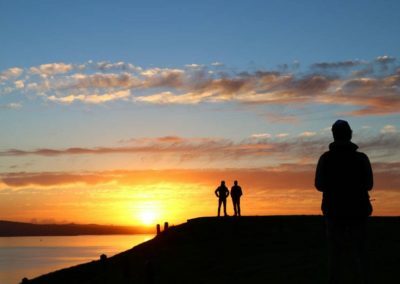 It salutes the power and beauty of New Zealand’s nature. The piece invites the audience to a shared experience of rhythmic excitement and inner stillness. 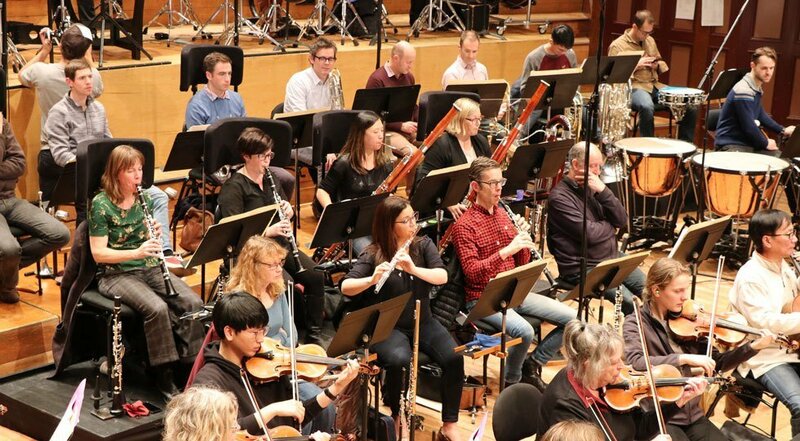 With all its intensity it points to the empty space between the pulses, and the tangible but inaudible waves lying underneath the music, criss-crossing in complex polyrhythmic ways. The composition is based on tempo ranges in which the human nervous system has a maximum response. 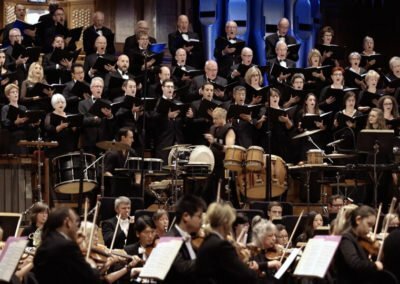 This fact is backed up by newest science and it is no surprise that some of the tempos chosen for “Waves” are identical with the Credo in Bach’s “Mass in B minor”, Augurs of Spring in Strawinsky’s “Le Sacre du printemps” or the Molto allegro in Mozart’s “Symphony Nr. 40”. The intention of “Waves upon Waves” is, to immerse the listener into the rhythmic nature of all life, and establish rhythm as a mirror for a deeper insight. starts with the still surface of the ocean, represented by one tone, sung a capella by the whole choir. From this stillpoint on, movement gradually starts to unfold in every growing wave and leads into a polyrhythmic matrix of seven and nine beat cycles. begins as a journey through clusters and multiple meters. As they appear and dissolve again, it increasingly becomes apparent that they are connected through a hidden yet clearly tangible basic pulse. is the beginning of „Waves upon Waves“ changing from transpersonal experience into tangible human emotion: the image of someone looking at the ocean, contemplating the separation of a beloved person on the other side of the waves, sets the mood for this movement. The scene changes into the image of an indigenous person sitting with a shamans drum on the shore. This person also looks out at the ocean, but is completely empty of thoughts and emotions and taken away by the rhythm of his drum – which in this case is played by the orchestra. 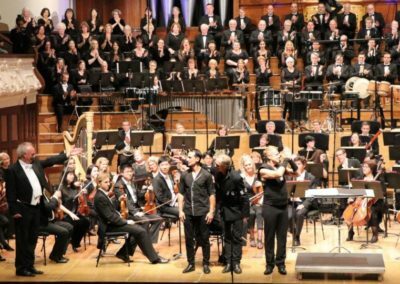 As it gradually gains momentum it gets multi-layered and finally accumulates in a rhythm of unbelievable intensity: Indonesian Anklungs merge with the full orchestra, percussion and choir – everything is vibrating at its peak level while at the same time a deep space opens up for the listener – a space some call „the Zone“, others „Elysium“. 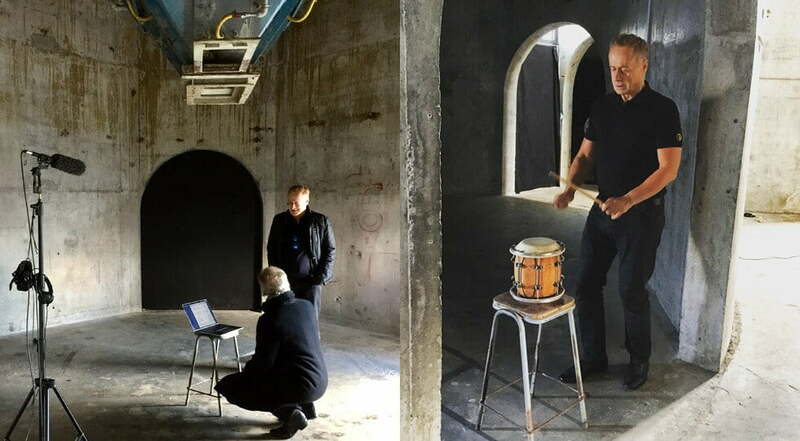 is the virtuosic drum part in every Waves Production. 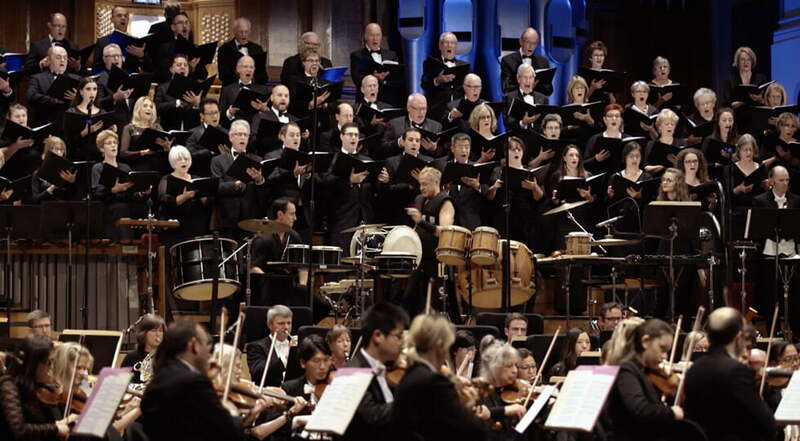 Here, the big „Taiko“ Drum played by Reinhard Flatischler takes center stage. 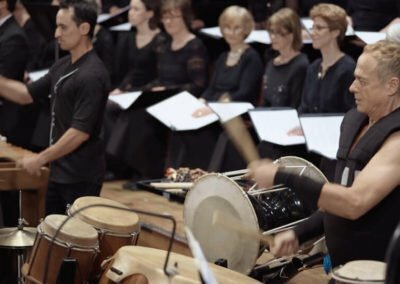 Flatischler’s drum style connects Korean Buk drumming with various Japanese Taiko styles. It is accompanied by the dynamic sound of a Balinese Cheng Cheng that gives the syncopating drum a solid background. 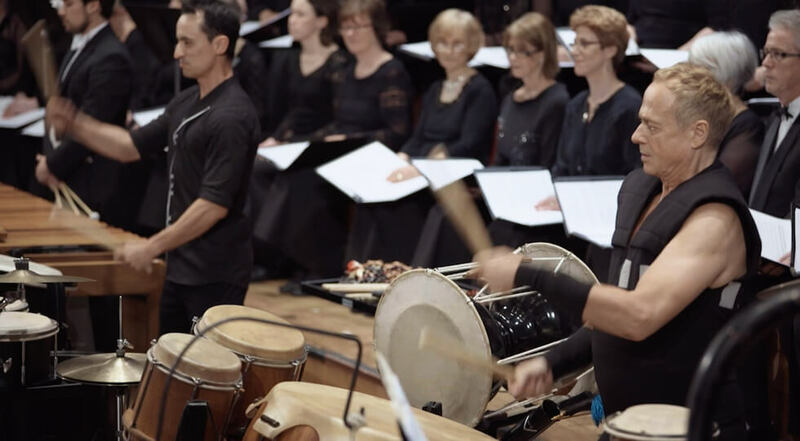 the last movement featuring the polyrhythm of three and four, represented by the rhythm syllables „TaKeTiNa“ and „GaMaLa“, escalates into a grand interplay that involves every section of the orchestra, choir and percussion. In this grand finale the polyrhythm creates a joyfully confusing, yet musically coherent intensity merging into the final beat with an intricate break. 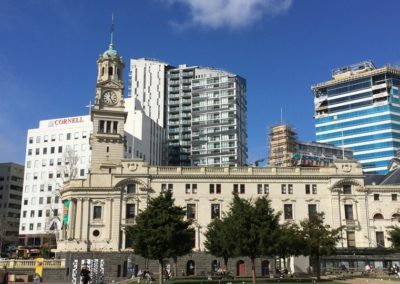 „Space beyond Space“ had its world premiere on July 26th 2018 at Auckland Town Hall, New Zealand. 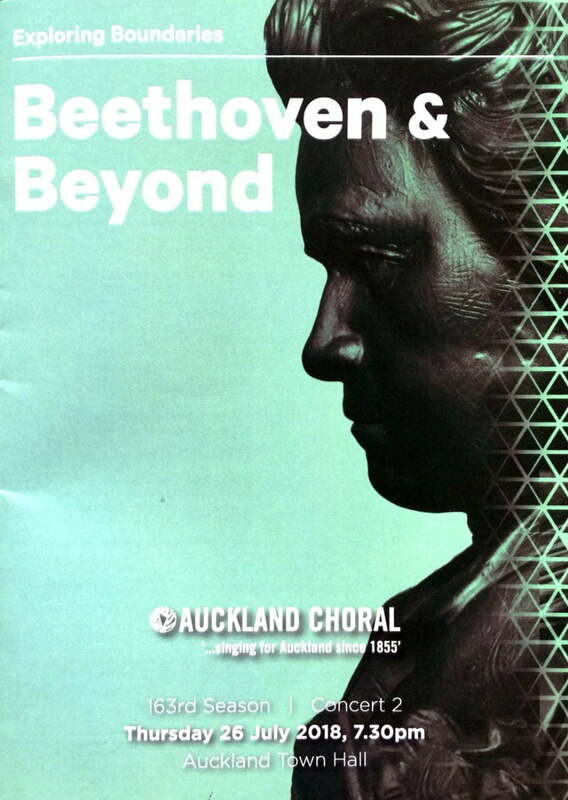 It is the second composition commissioned by the Auckland Choral Society. 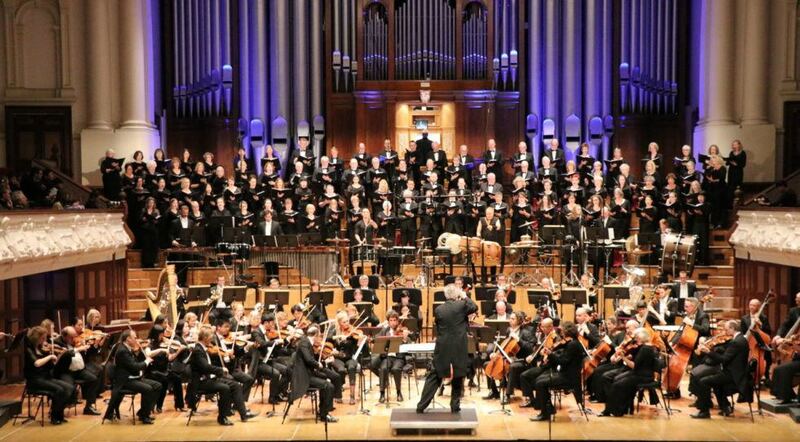 Auckland Choral Society joined in the concert by Auckland Philharmonia Orchestra, conducted by Uwe Grodd. 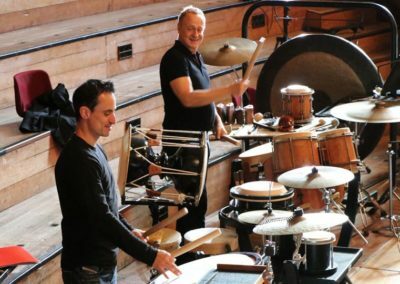 Reinhard Flatischler and Grammy nominee Tupac Mantilla performed on the solo drums along with a lineup of other percussionists. Space is one of the most mysterious and fascinating phenomena existing. Space has stimulated the curiosity of humans from the very beginning. The most advanced scientists as well as ancient philosophers have been researching the phenomenon of space. Newest science assumes that space is both – extremely full and unimaginably tense – while at the same time it appears completely empty. What a mystery! 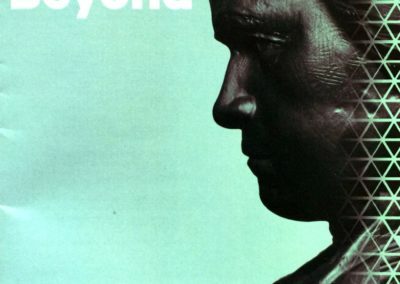 “Space beyond Space” comes with a philosophical message. 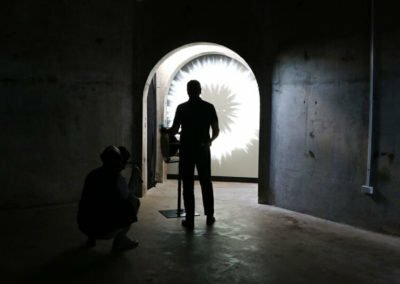 „Ubi nihil – ibi omnia.“ This statement carries such deep meaning, that it becomes a Latin Koan – something that cannot be grasped by the logic mind alone but eventually needs to include other layers of recognition to access a deeper understanding of space, the only phenomenon that connects everything with everything. Musically the prologue intends to create the atmosphere that something important is to be revealed. It gradually builds a rhythmic backdrop to present the first statement. “Ubi nihil, Ibi omnia” is recited first, for everyone to clearly understand the message: „where there is nothing there is everything“. This statement correlates with the ancient „heart sutra“, which starts like this: …“Form does not differ from emptiness; emptiness does not differ from form. Form itself is emptiness; emptiness itself is form.“ It also points to the finding of modern science. The prologue directly leads to the second movement. 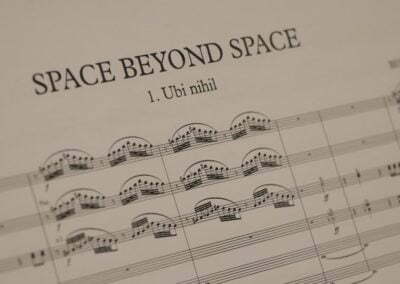 To access the deeper meaning of this condensed information, the second movement leads the audience through a polytonal „birthing process“ with a massive intensity of sound and rhythm input, that is intended to crack open the mind for venturing out to new horizons. The Big Bang sends out its different movements through the musical universe. Inner galaxies, rhythmic galaxies and sound galaxies – all blend together at this point. Various polyrhythmic layers and complex cycles interact sometimes in a very dynamic manner, sometimes in contrast withdrawing into a more static mood. „Revolving galaxies“ ends in a culmination that calls the drums to take centerstage. 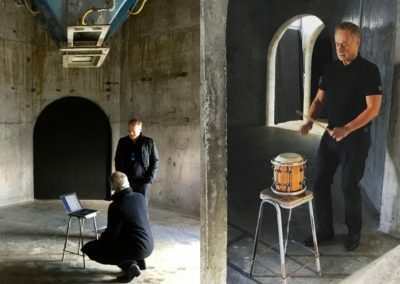 Every composition of the „Space Project“ has movements in which the art of playing drums in a virtuosic manner is integrated into the composition. 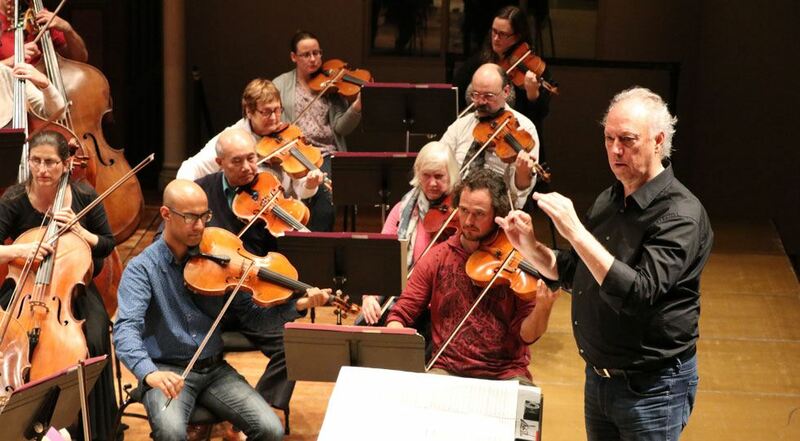 Here, Tupac Mantilla und Reinhard Flatischler are interacting with the whole orchestra that turns now into a mighty rhythm generator as well. Everything so far was a preparation to dive into the actual meditation of this mysterious phenomenon space. 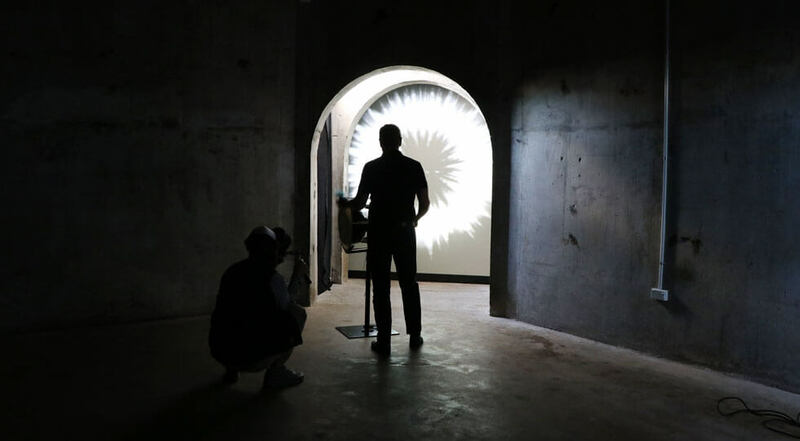 It starts with a portal in which quite unusual sounds call the listener into a direct participation of contemplating space. 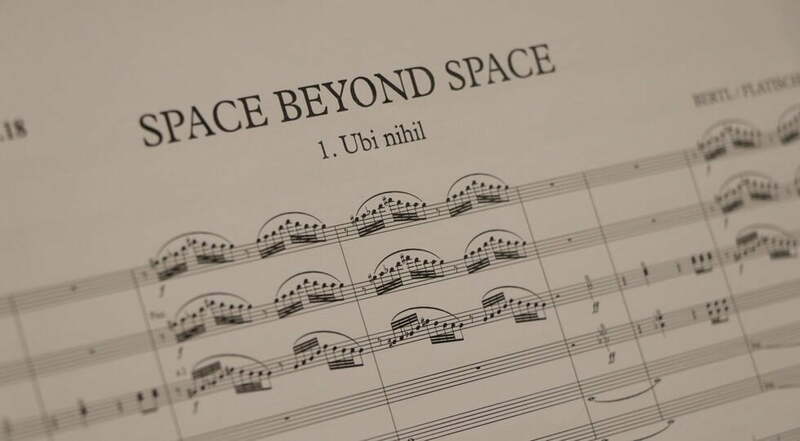 Beyond space consists of a metamorphosis of three rhythms: starting with a twelve beat cycle, the rhythms evolve into an eleven beat cycle, recited by the choir in multiple voice layers and ending up in a mysterious layering of a seven and a six beat cycle. 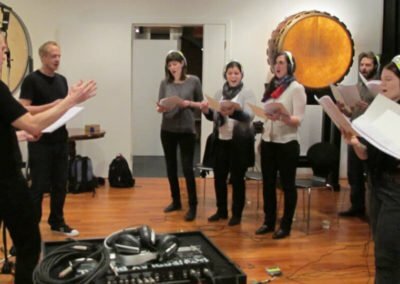 When their elements are „singled out“ – which is a composition technique of the Waves Project – the audience feels a coherence but cannot grasp how everything is interconnected. 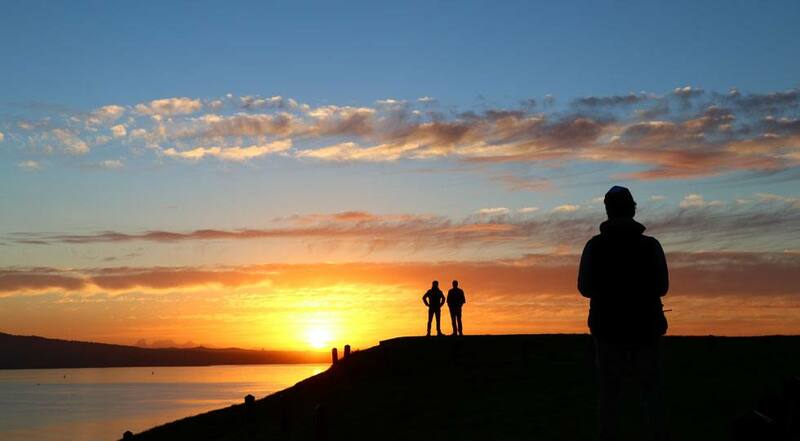 An atmosphere of wondering, awe and introspection opens up. „Spatium, omnia tu, Omnia nosti, Omnia saecula! Spatium, omnia tu, Omnia iungis, Omnia omnibus! Testare hanc vitam, Narra mundo nostram musicam! Tu es via clara nostra, Tu es noster vere unus angelus! It is impossible to escape space and therefore it is a consequent move that „Space beyond Space“ returns to Ubi Nihil in the end. However, no one ever returns to the same place or situation in such a journey. This times all the elements from the beginning have changed into a hymn of uplifting joy, vigor and courage. The last words sung by the choir in a very still a capella mode remind that even in the most dramatic situation there is always emptiness and space. Born in Vienna in 1950 Studied piano at the prestigious Music University in Vienna. Founded the TaKeTiNa rhythm process in 1970, which is used in education, therapy and performance worldwide. 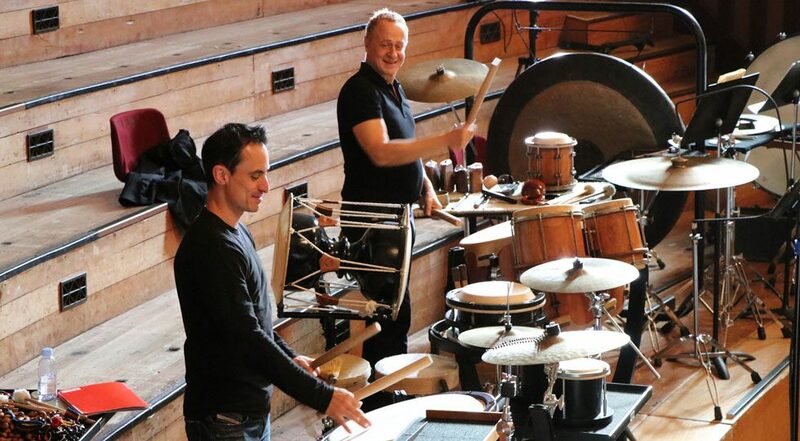 Flatischler’s compositions have fundamentally influenced contemporary drums and percussion music. In his legendary MegaDrums group he composed for and performed with some of the best drummers of our time, such as Zakir Hussain, Airto Moreira, Glen Velez, Leonard Eto (KODO), Samulnori and Milton Cardona amongst others. 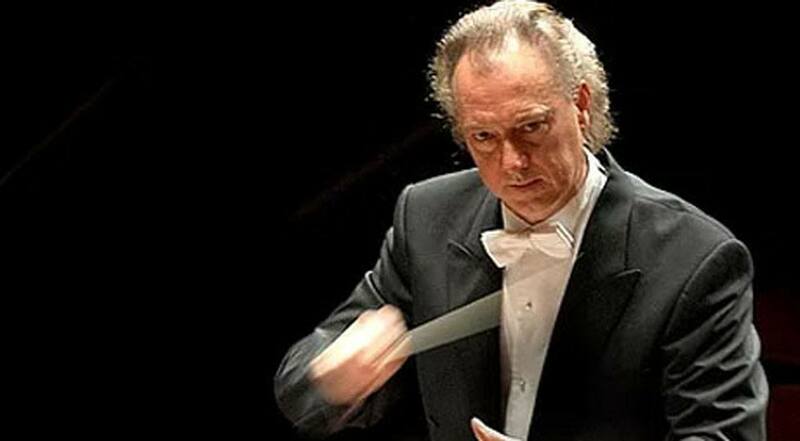 Johnny Bertl is a specialist in orchestral music. 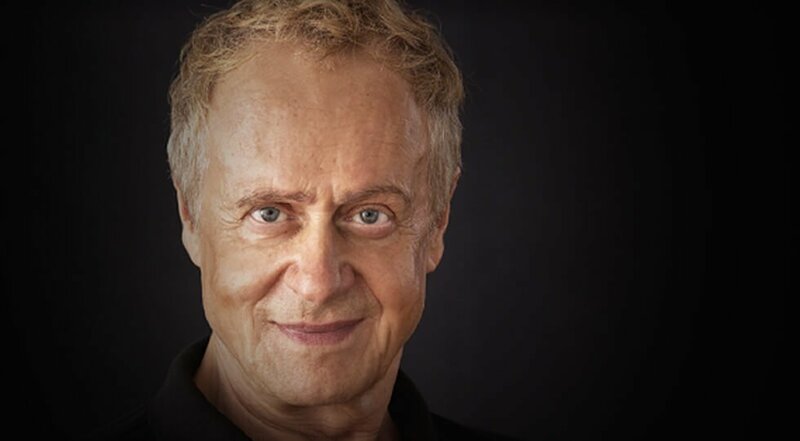 His career spans almost 40 years of highly successful projects in which classical orchestras meet world music, jazz, pop, or folk. 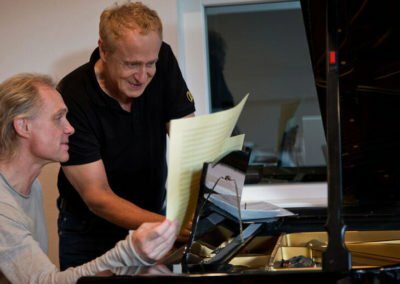 Bertl has arranged, composed or conducted for Joe Zawinul, Bobby McFerrin, Chaka Chan, Alan Parsons, Placido Domingo, Elina Garanca, Piotr Bezcala , Andreas Gabalier to name just a few. He directed several opening nights of the prestigious ‘Wiener Festwochen’ (Vienna Festival ), arranged the orchestra for the notorious Viennese ‘Life Ball’ and composed the musical “Falco meets Amadeus”. 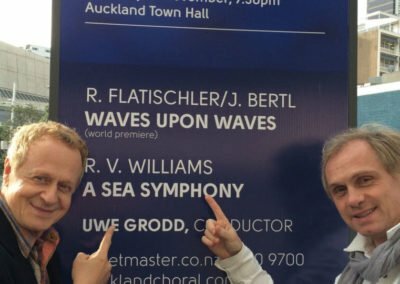 Uwe Grodd enjoys an international reputation as a conductor. 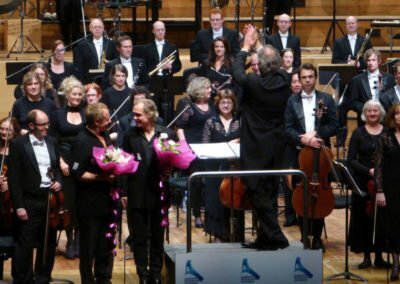 He has won a number of significant awards including First Prize at the Cannes Classical Awards 2000 and two Gramophone Editor’s Choice in the UK. 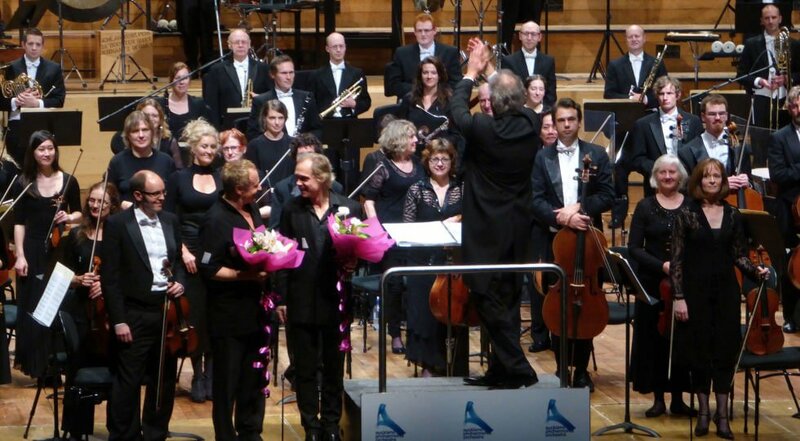 He has performed in Handel Festivals and conducted a season of Handel’s recently rediscovered opera Imeneo in Germany. A graduate of Mainz University, Germany, Uwe studied with teachers of international repute. 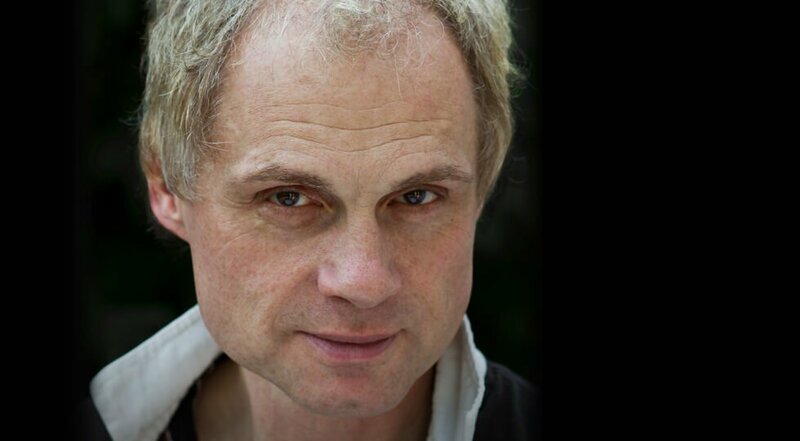 A strong musical influence during his study was choral specialist Helmut Rilling during several summer courses at the Bach Akademie in Uwe’s hometown of Stuttgart. 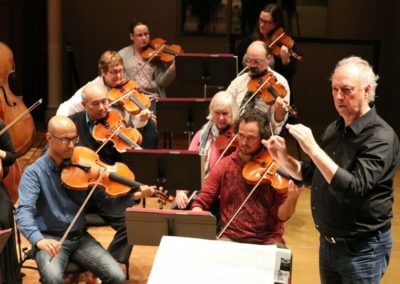 He attributes his major musical growth to the guidance of two of Europe’s finest musicians, Robert Aitken and Maestro Celibidache. 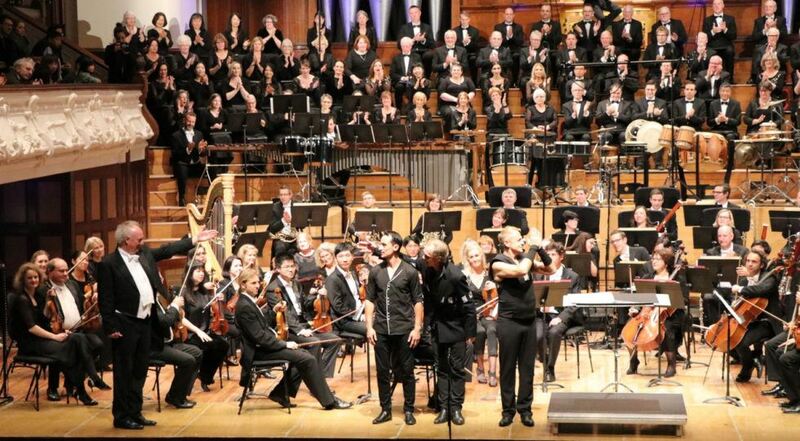 In 1993 Uwe was appointed Music Director of the Manukau Symphony Orchestra, and between 1998 and 2002 acted as Artistic Director of the International Music Festival New Zealand. 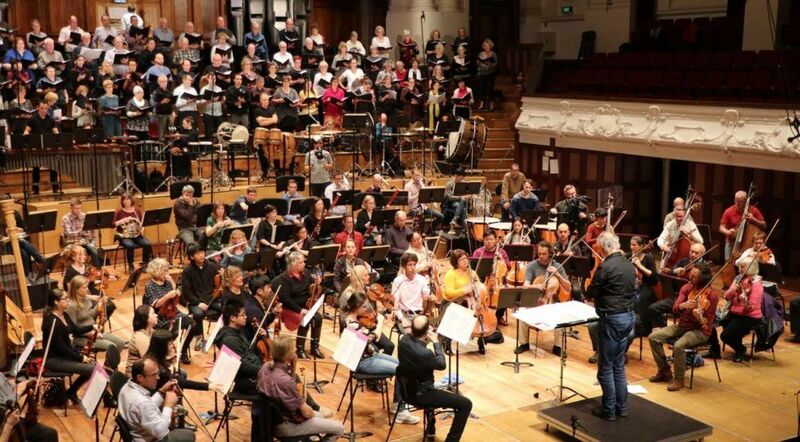 He was invited to become Music Director of the Auckland Choral Society, New Zealand’s longest-established symphonic choir, in July 2008. Grammy® nominated percussionist Tupac Mantilla is considered nowadays one of the leading forces in the contemporary rhythm world, supported by a prolific career that includes appearances as a performer in concert halls such Carnegie Hall and as a lecturer and educator in institutions like Harvard and Stanford University. He has collaborated with artists such as Bobby McFerrin, Esperanza Spalding, Savion Glover and Zakir Hussain to name a few. 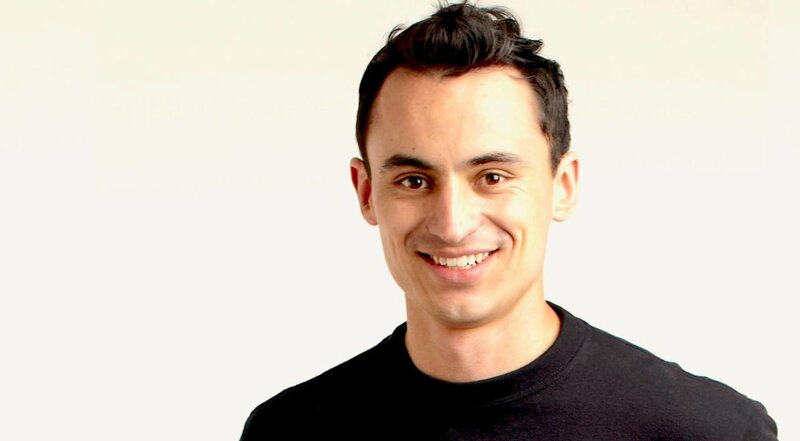 As the artistic director and founder of Colombia’s Body Percussion troupe TEKEYÉ and the Global Percussion Network PERCUACTION, his innovative methods, books and systems have benefited directly more than 100.000 people around the world. In recent years Tupac’s energetic and interactive workshops and shows have become a highly in-demand activity of top institutions, festivals and venues. 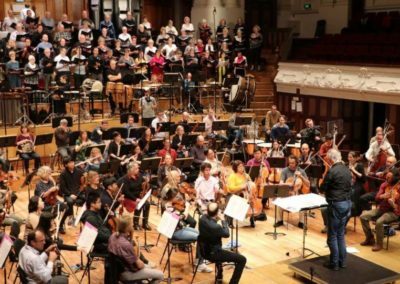 Auckland Philharmonia Orchestra is New Zealand’s full-time professional symphony orchestra, serving the country’s largest and most vibrant city with a comprehensive program of concerts, education and outreach activities. 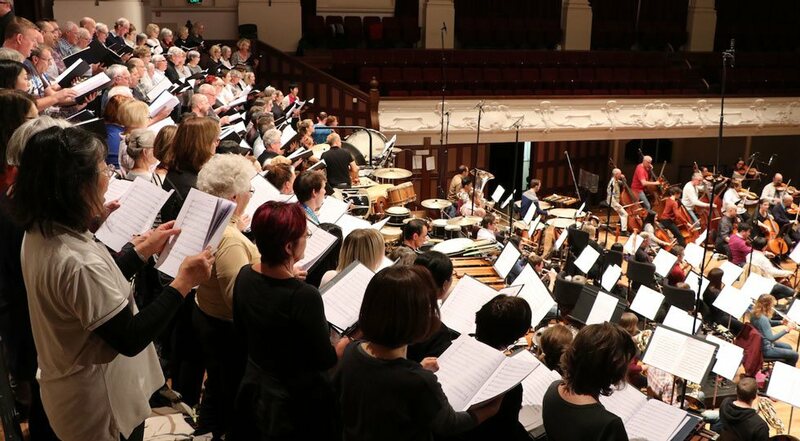 Auckland Choral is a symphonic-scale choir of 100+ voices. 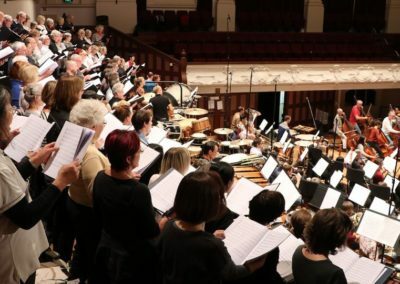 It is Auckland’s oldest and most prominent choir, and continues to play a significant role in Auckland’s art scene today. 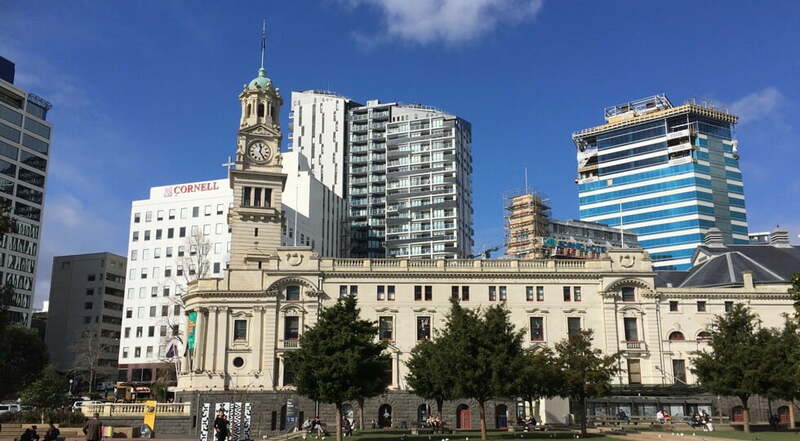 Its members are wide-ranging in age as well as cultural and professional background. 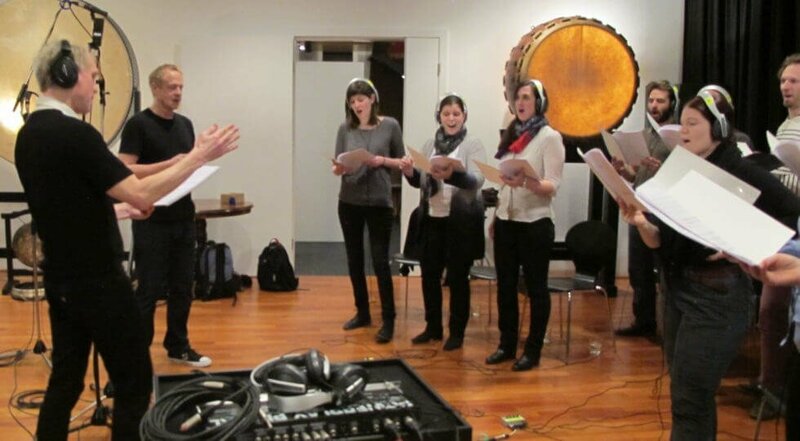 Members rehearse weekly throughout the year and the choir regularly accepts new members following a thorough audition process. The current music director is Professor Uwe Grodd.